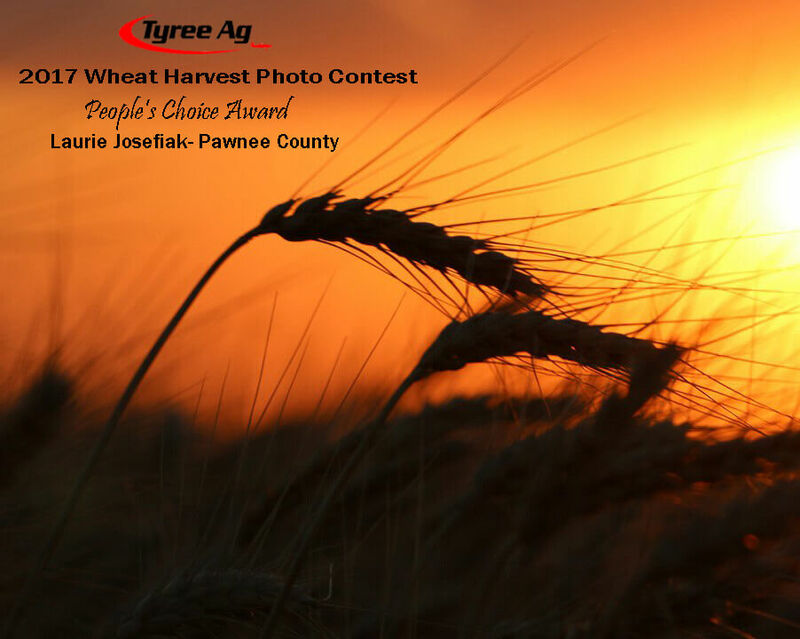 This year, we will again have TWO wheat harvest categories for you to enter your photos into. The first is a category that incorporates one of the most important values Tyree Ag identifies in their day-to-day business, which is family. 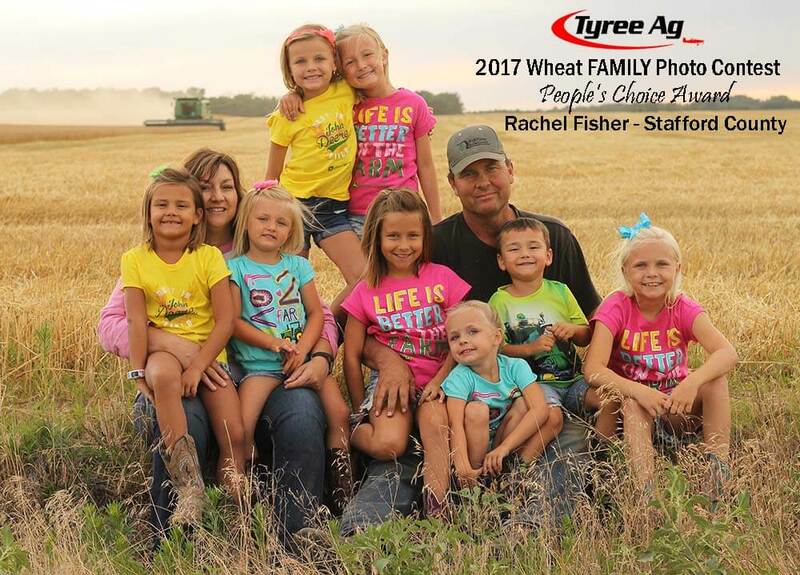 This "Wheat Family" category accepts photos capturing the hard work, sweat, tears, joy, and happiness that comes with the annual wheat harvest. Photos of children playing in the field, moments of deep conversations between father and son, or even family meals in the field are just a few examples of photos that can be entered into this category. The second category is titled "2018 Wheat Harvest". Photos in this category can be anything from a combine in the sunset, to a truck unloading in the grain elevator. There is really no limit to this category as long as the photo captures wheat harvest from your point of view. 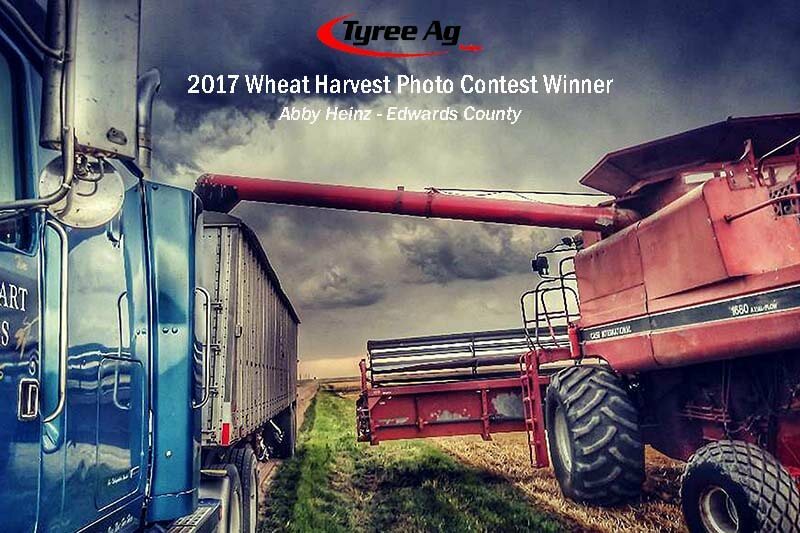 One winner from each category will be voted on and selected by Tyree Ag's office staff, based on creativity and ability to capture a heart fulfilling moment during wheat harvest - whether that is the sheer beauty of a combine in front of a mid-west sunset or an open field of golden wheat swaying in the wind on a cloudy day. Be creative and original! These winners will be awarded a $50 VISA gift card. The second winner will be a "People's Choice" award, meaning whichever photo in each category has the most "likes" on Facebook will receive a Tyree Ag gift bundle. Photos must be taken during the 2018 wheat harvest. There is no limit on the number of entries. Photos can be taken with either a cell phone or a camera. Please keep the amount of editing to a minimum! If capturing individuals in the photo, you must have permission to do so. These photos will be posted on Tyree Ag's Facebook page and website. Some photos may be selected to display in the office at one of Tyree Ag's locations. Photos deemed inappropriate by Tyree Ag for any reason will not be entered into the contest. If you have any questions, please contact Kristine Puthoff via email: kristineputhoff@tyreeag.com. 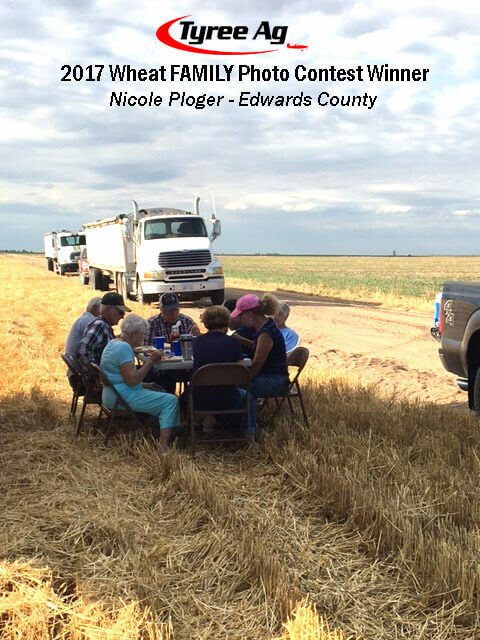 We can't wait to see what wheat harvest looks like from your point of view! Congratulations to our 2017 Photo Contest Winners!